NerdWallet has put together a list of the healthiest cities in America. In order to determine which cities made the cut, the study looked at the American Fitness Index, % of residents that are a healthy weight, % of residents who engage in physical activity, % of residents with health insurance, and the number of physicians and surgeons per 100,000 residents. San Jose came in a respectable 7th place. SF came in 2nd (due mostly to a high number of physicians per capita), and NY made it to 15th place. 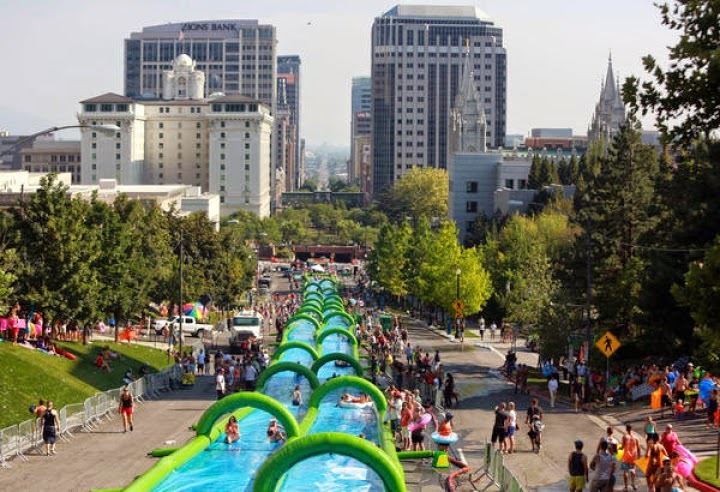 "Slide The City" Coming to San Jose! 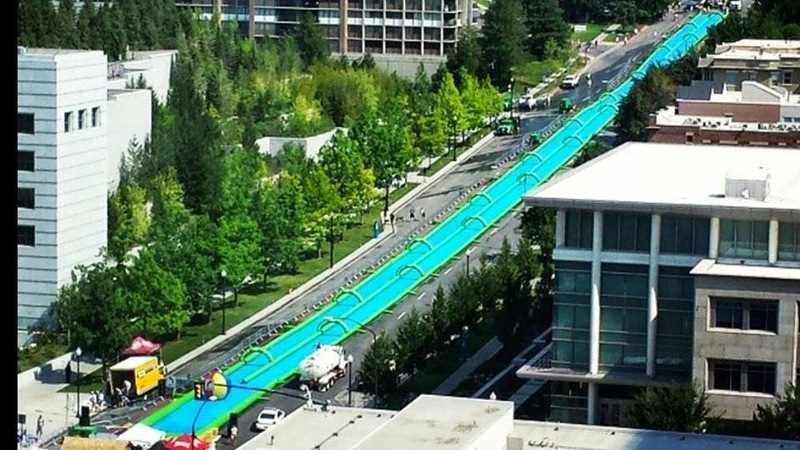 A 1,000 foot slip-and-slide is coming to a very lucky street somewhere in San Jose this June. 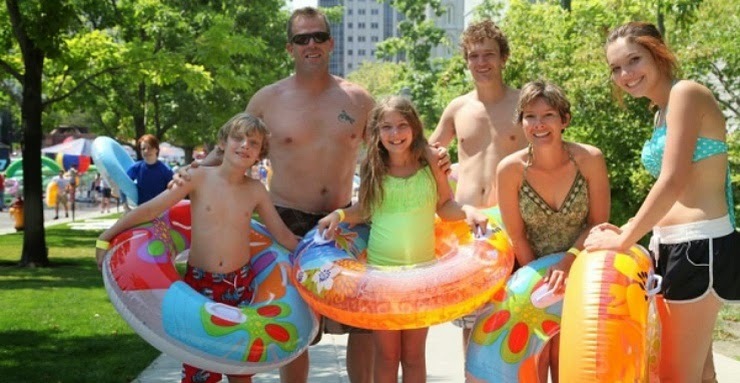 This is exactly what is sounds like... an inflated water slide three football fields long. To get an idea of the sheer scale of this, have a look at the photos below from the inaugural Salt Lake City event. The exact date and location have not yet been set. I'm hoping for a spot somewhere around Downtown San Jose, but I'm not sure if we have a hill steep enough in the area. Where do you guys think this will go? 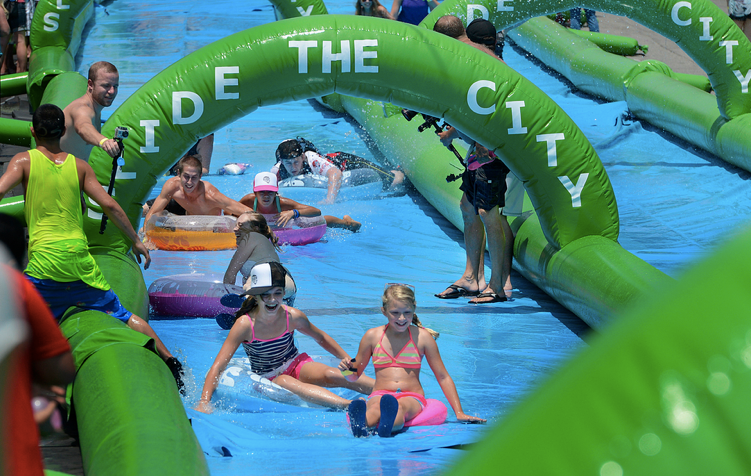 The pricing will range from $15 to $60 depending on how many times you want to go down the slide (one, three times, or unlimited) and the kind of swag you'd like to take home. All passes come with a water gun. To get on the mailing list and be the first to know when early registration becomes available, just head over here. Hat-tip to Payge Lyn for sending this in! 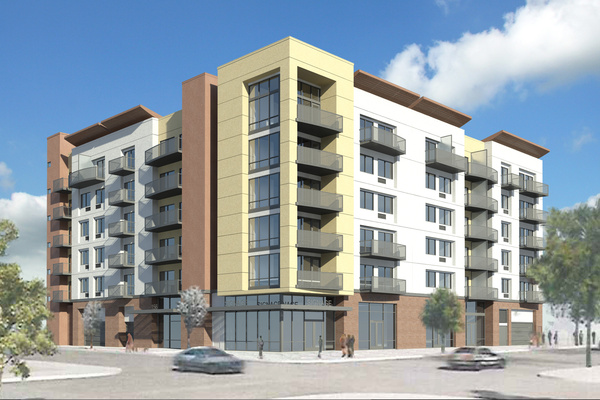 MidPen Housing recently broke ground on a 102-unit housing complex at 156 E. St. John Street. The six-story project is on the former site of the Donner-Houghton estate, which was the home of a Donner Party survivor. Unfortunately, the home was destroyed in a 2007 fire. The apartment complex includes 2,500 SQFT of retail on the ground floor as well as a community gathering space, computer lab, and exercise facilities. In order to lease an apartment, you cannot earn more than $37,700 as the units are designed for low-income workers and formerly homeless people in the Downtown area. The total cost of the project will be $30.8 million and it is expected to be completed by Summer 2016. 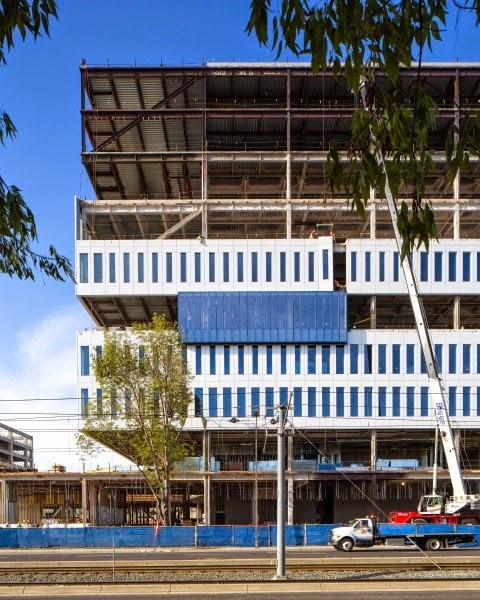 The first Tech company in Silicon Valley to have a truly landmark building when it comes to architecture is not going to be Apple, Facebook, or Nvidia. 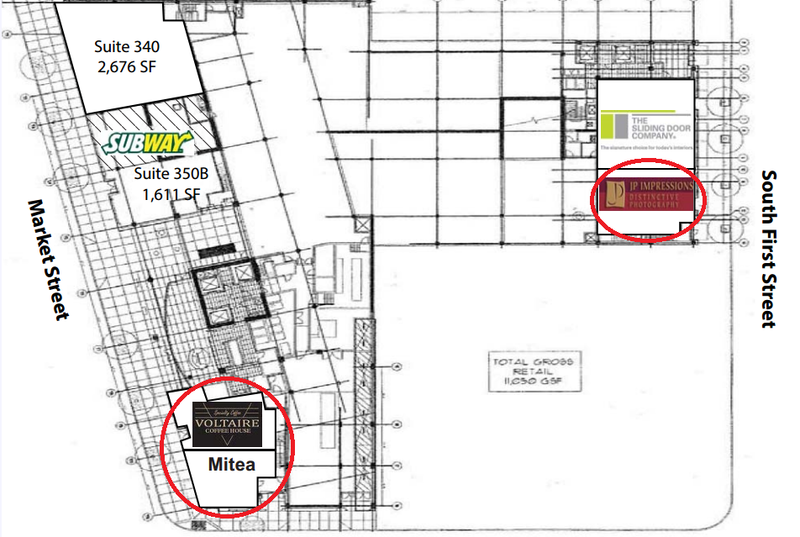 It's going to be Samsung in North San Jose. 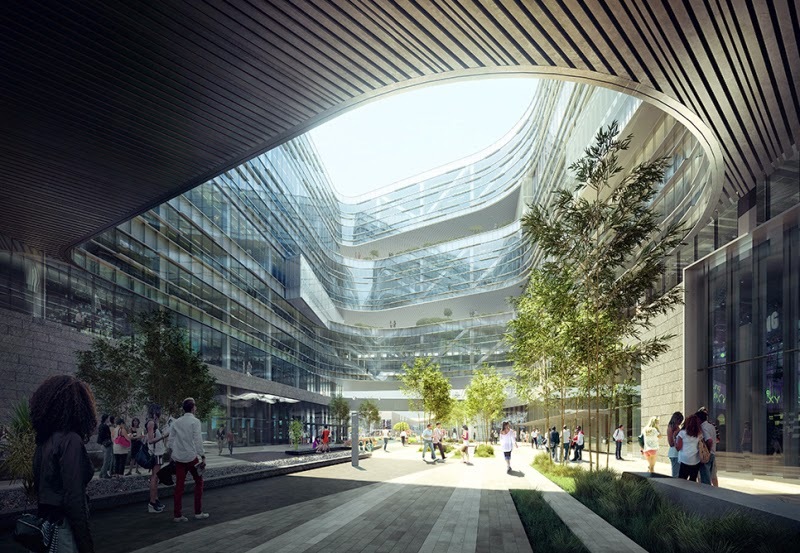 At 10-stories it will be the tallest "traditional" tech campus in the valley and also one of the most unique. Each floor will always be at most one level away from an outdoor green space with trees and plants. This will make more sense after you watch the video below. 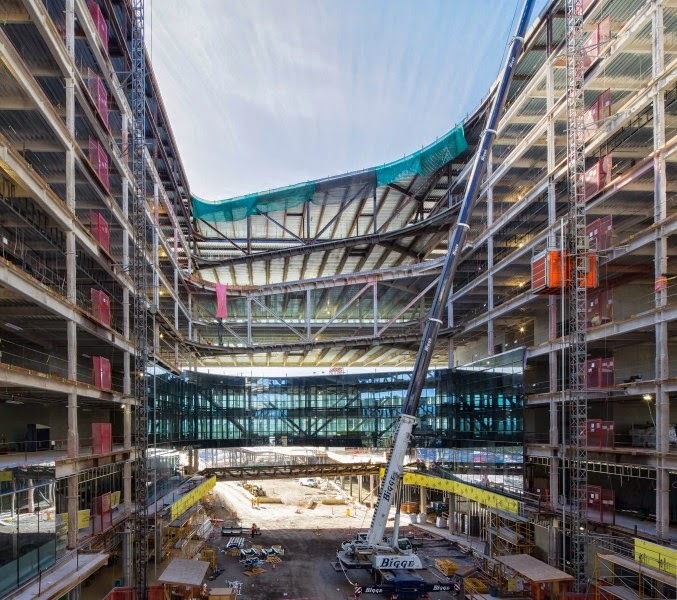 When completed later this year it will have 680,000 SQFT and home to at least 600 employees. Samsung North America Headquarters from nbbjdesign on Vimeo. China's Hainan Airlines is Coming to SJC!!! This has been a long time coming. San Jose International Airport has finally landed another key route! 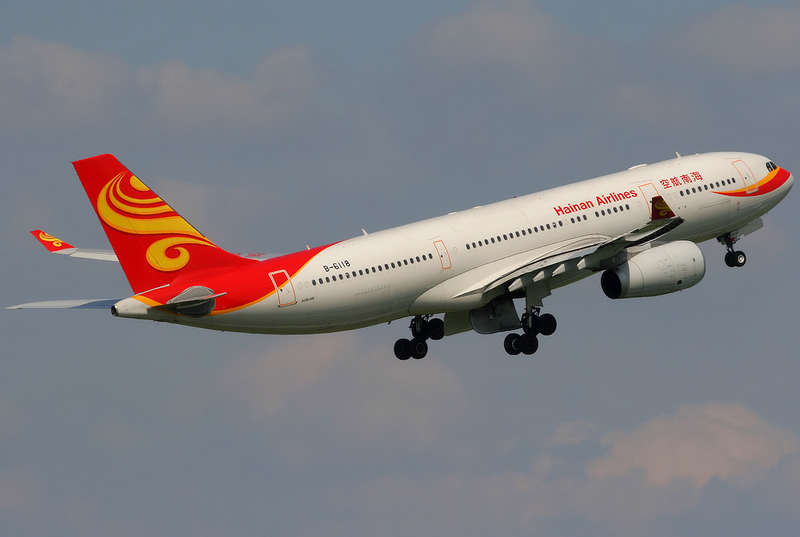 China's Hainan Airlines is going to launch nonstop flights to Beijing this summer. Hainan is one of China's premium airlines (perhaps the best), with an excellent reputation and a five-star ranking. They are very similar in terms of prestige to ANA, San Jose's other international airline servicing Asia. This will be the very first time San Jose has had a direct flight to China. The only other airports in the US that are serviced by Hainan Airlines are Seattle, Chicago, and Boston. For the San Jose route, Hainan will be flying a fancy Boeing 787 Dreamliner with 5 flights per week. These international routes offer a huge boost to the airport, the local economy, and our brand. Hopefully, the combination of ANA and Hainan will attract even more international carriers to the airport. I would love to see some direct flights to Europe, Australia, and South America at some point in my lifetime. Which international destination do you think we'll get next? 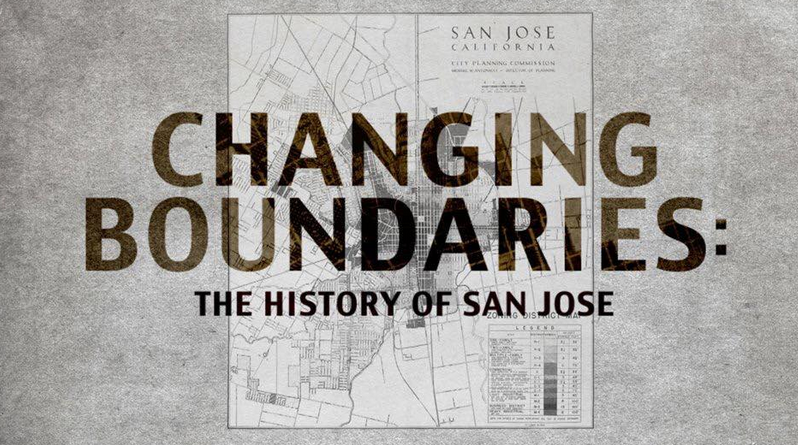 Did you miss the premier last week for Changing Boundaries, the first feature length documentary about San Jose? Well you are in luck. Camera 12 will be screening the film on February 5th, 6th, and 7th. You can get your tickets now by clicking here! 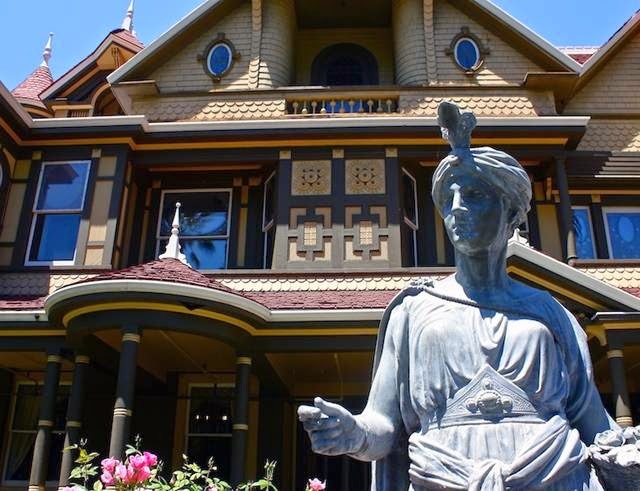 Synopsis: CreaTV San Jose, Norman Kline Productions and History San Jose present Changing Boundaries: The History of San Jose – the story of the working people, political leaders and dreamers who built the City of San Jose. Narrated by local actor Daniel Wilson, and featuring an original musical score by Grammy nominee Robert Berry of Soundtek Studios, this first-of-its-kind documentary features interviews with key historical figures, from farmers to civic leaders, including Tom McEnery, Blanca Alvarado and Norm Mineta. Other notable interviewees include historians Terry Christensen, Nannette Regua and Steven Millne. Produced by Norman Kline and CreaTV San Jose and directed by Tricia Creason-Valencia, the film’s production includes a key collaboration with History San Jose, which provided archival photography and documents. All Seats $5.50 Before 6:00pm; $8.50 Evenings (C12 Only)! No Free Passes or Discount Cards. This is not a duplicate post from yesterday, although the topic is along the same lines. Movoto ranked the 95120 zip code--which is San Jose's Almaden area--as the 10th most expensive housing zip in the country. 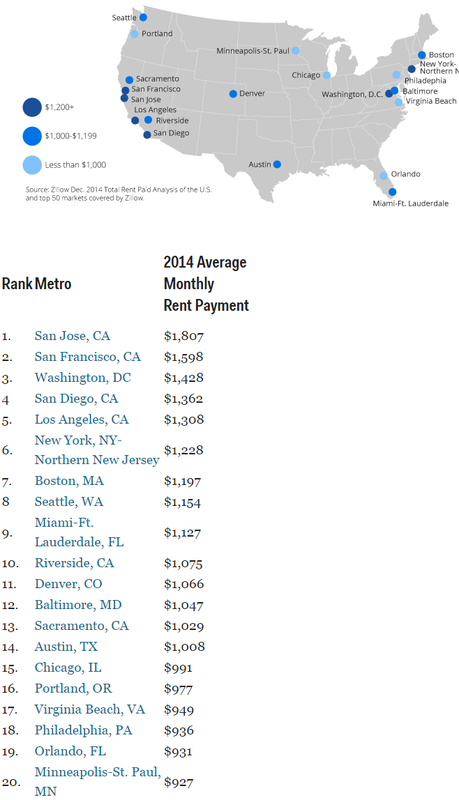 If you are renting here, you are likely paying around $3,395. The study looked at median home value, median gross rent, and median selected monthly homeowner costs in order to create the ranking. Okay, so I have some bad news and some good news regarding the SoFA Market. Let's start with the bad news. The Falafel Bar is closing down and they are going to temporarily shut down all of the SoFA Market except for Vero's coffee on February 1st. Okay, now the good news. The reason why they are shutting down the space is to accelerate construction for 4 new vendors. These will include Downtown's first Ramen shop, Japanese tapas, Hawaiian Poke and Burgers, a top secret dessert place, and the long awaited Fountainhead Bar. Let's call it SoFA Market 2.0, and the ETA is late March - April. When we bought this building at the end of 2011, it had been vacant for more than a few years. 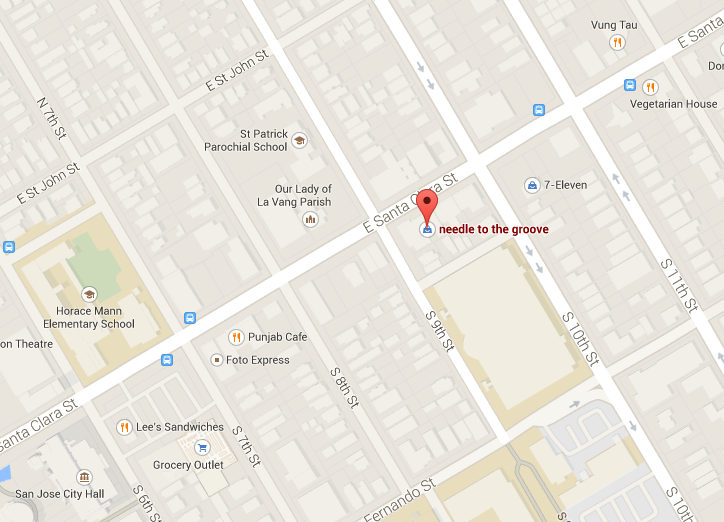 There was little street life in the neighborhood perhaps with the exception of the San Carlos and 1st St corner. The idea of a a communal space or a neighborhood market came about as a way to help activate a street devoid of retail businesses. We envisioned a group of like-minded vendors committed to creating a vibrant urban scene and interested in locally-sourced and organic products to come together and make something out of this empty space. It's been a long road. Building downtown has never been easy and it wasn't easy for us. The financial risks were huge and finding tenants for an unproven concept was especially challenging. But we have made significant progress, albeit slowly. A couple of pioneering vendors signed up from the start and have weathered the pains of opening a new venue with us. Falafel Bar will soon leave the market, unfortunately. But Veros Coffee, with its affable owners Omar and Veronica Quinonez, will keep marching on (if you haven't had their highly-crafted, artisan espresso-based drinks or pour-over coffee, you really ought to try; just watching them make a joe is a joy in itself). 4 more vendors have signed up late last year and with this opportunity, we are going to push the reset button. Except for Veros Coffee at the front, we will shut down the rest of the market temporarily for a couple of months starting on February 1. This allows the construction of these new businesses to proceed in the fastest way possible. When we reopen, you will see a new SoFA Market. There will be a diverse offering of quality food: ramen and Japanese tapas (with beer and sake to wash them down), hawaiian poke, burgers and skewers, and some very interesting dessert products (this last one we can't yet divulge). And of course, there will be The Fountainhead Bar. Look for our re-opening in the late March - April time frame. Please bear with us. We believe in downtown San Jose and the SoFA neighborhood in particular. We are in this for the long run, and if this were easy, everyone would have done it already! ASML is a supplier of semiconductor manufacturing equipment that is currently based in Santa Clara at 4211 Burton Drive. The company is growing quickly (specifically this division that was formerly Brion Technologies) and has decided to move to 92,000 SQFT at "THE Campus" on Trimble Road. 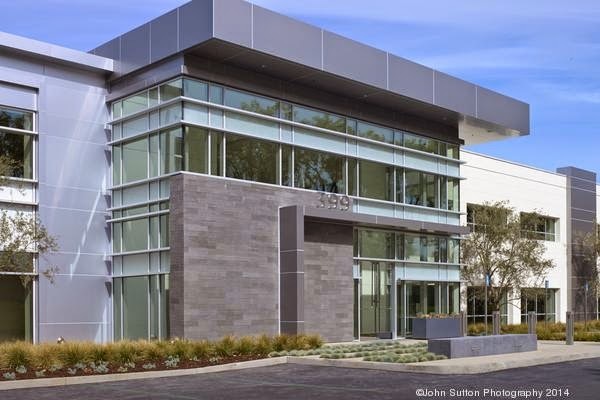 This office complex benefited from a $26 million upgrade last year and sits in a prime location in the middle of the Golden Triangle (the largest tech cluster in the world). For more info, hit the source link below. Join us for our monthly artists and quirky people get together featuring live art, demos, and $2 original art to take home! Neighbors and friends, I'm thrilled to be with you this evening. Thank you for your patience with the change of tonight's venue. We'd reached capacity at the California Theater, and we didn't want to turn anyone away, particularly since about half of you are my own family members. I'm grateful that we're all now able to participate in this celebration, here, at this Center for the Performing Arts. Of course, I might have slept better on Election Night if we could have persuaded this many people to actually show up at the polls in November. In my first days on the job, I've already learned that there are several things that Mayors can't control: the size of venues, Larry Stone's wardrobe, and the weather at the Washington-Dulles airport. To each of the Mayors present—and let me add Mayors Ron James and Norm Mineta, who could not join us this evening—we owe you our gratitude for your service. As to each of you, I've also benefitted personally from your advice. For example, just yesterday Tom McEnery told me that if I didn't keep it short tonight, he'd jump on stage to deliver a five-minute rebuttal. I also want to thank the love of my life, Jessica, and my parents, Sal and Laura, who joined me on stage. I owe them, and all of my many family members here, much for their support, their good humor, and for their patient love. Here we are, gathered in an auditorium where audiences come to venerate the power of the human voice. It is here that many have been entertained by the voices of legendary crooners like Ray Charles and Bing Crosby, amused by Bob Hope and Dana Carvey, inspired by the cast of Les Miserables, or profoundly offended by "The Book of Mormon." Regardless, voice provides context to our communication. In a world in which billions of conversations are increasingly transmitted by emails, texts, tweets, posts, and—yes, even "emoji," voice carries meaning that is far deeper, far broader, and far more human. Voicepunctuates, enlivens, and inspires. Voice gives us our identity—as individuals, and as a community. As I take office, I reflect on the voices that I hear from San Jose's past and present. Typically, an incoming mayor doesn't inspire confidence in a city by revealing that he hears voices, but they're there. I recall particularly the voice of a wonderful leader who just recently passed, former Mayor Janet Gray Hayes. A decade ago, Mayor Hayes offered me the best political advice I've ever received. "Sam," she said, "If you're going to get into politics, there are two things you'll need to survive. First, you gotta have a sense of humor, because you'll go batty without one. And second, you'll need a large bladder, because those long council meetings can be brutal." Of course, we also hear less inspired voices. How often have we heard from pundits who lament San Jose's purported identity crisis? 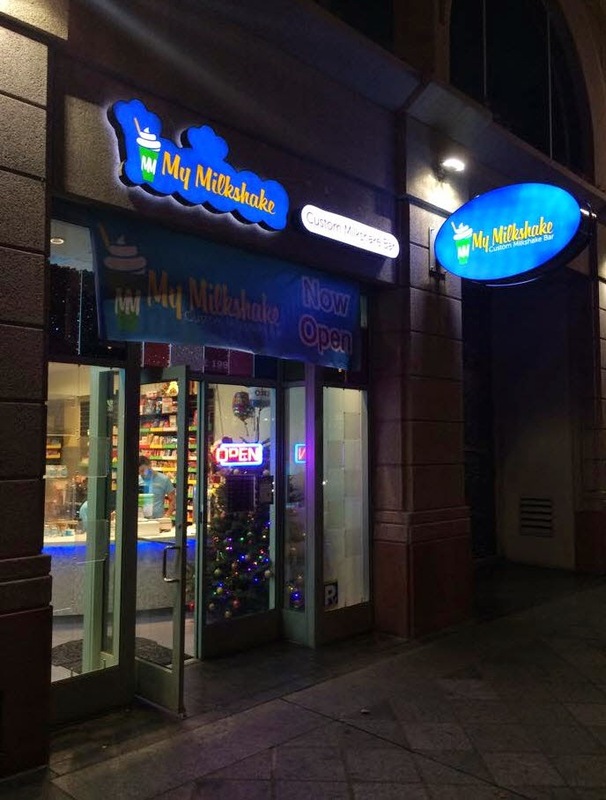 "What is San Jose's identity?" they ask. To this self-flagellation, I invoke the distinctive voice of Opera San Jose's founder, the incomparable Irene Dalis, who we also lost only a few weeks ago. A renowned diva in her performing days, Irene didn't suffer fools, and had little patience for anyone who disparaged her hometown. Scott Herhold recently recounted that when Irene made her debut as a mezzo soprano at New York City's Metropolitan Opera House in 1957, the announcer asked how she wanted to be introduced to a global broadcast audience who would be hearing her voice for the first time. Irene insisted, "Well, you'll have to tell them that I'm from San Jose." Indeed she was –growing up a few houses away from my grandfather's home, Irene Dalis knew San Jose's identity well. She knew it, because she shaped it. Today, we can stop the lamenting. We're from San Jose. Let's embrace our city's distinctive identity, one characterized by our diversity, our openness, and our culture of innovation. We are diverse. Almost 40% of us were born in another country. 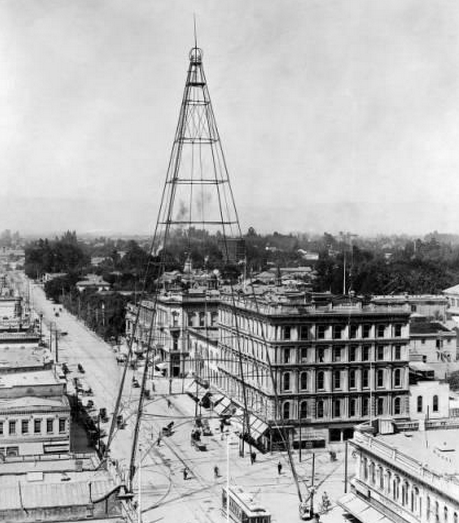 We were a majority-minority city before California became a majority-minority state, and decades ahead of the nation. Our diversity has become a linchpin to our economic success, in a Valley where one of every two venture-backed technology companies has a foreign-born founder. With bold leadership, we can position San Jose to become a global gateway to the U.S., and an American gateway to the world. But we're not simply diverse; we're accessible. Newcomers do not experience the hierarchical or pretentious social landscape of other cities here. San Jose is open-source—the place where every person can have an impact—indeed, the grandson of a small shopkeeper and a water boiler repairman just took the oath of office to serve you as your mayor. San Jose uniquely provides a path to power for its "firsts": ushering in our nation's first female big-city mayor in Janet Gray Hayes, America's first Asian-American major-city mayor in Norm Mineta, and quite possibly America's first Hispanic mayor, Ygnacio Archuleta, in 1783. 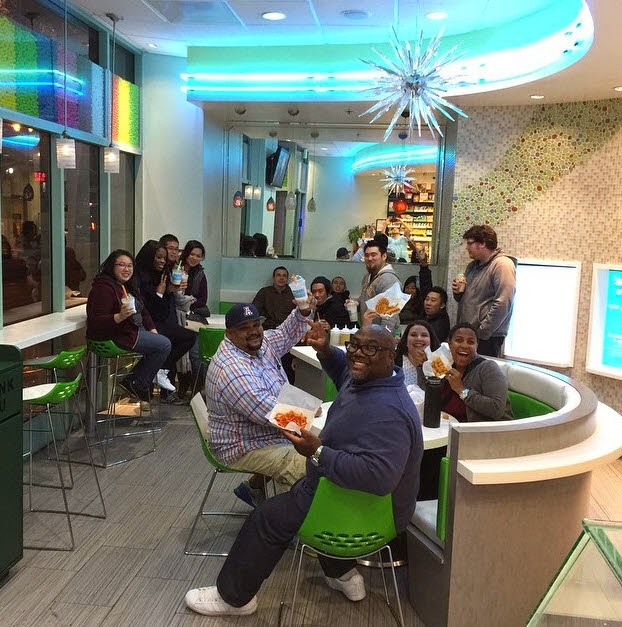 In San Jose, uniquely home-grown organizations—ranging from Somos Mayfair to CommUniverCity to PACT to Sacred Heart— embolden residents to speak truth to power, and they get results. Anyone with ganas -- a desire to make a difference—can do so in San Jose. And we're innovative. Our dynamic social landscape has become the perfect breeding ground for the world's most innovative community. San Jose routinely produces more U.S. patents—over 5,000 annually—than any other city on the planet. As Connie Martinez eloquently puts it, "let's face it, we're geeks." San Jose has provided the launching pad for the geekiest and greatest of ideas, from the disk drive to high-efficiency photovoltaics, from commercial radio to e- commerce, from even fruit cocktail to the Eggo waffle. We are instinctively creative, and our creativity manifests itself in every homegrown source of pride: from bicycle art to Bike Party, from San Jose Taiko to the Taco Festival of Innovation. "We are from San Jose." Our unique identity has been forged –and we should abide no doubts about who and what we are. So much for our remarkable past and present. What of our future? What voices will our progeny hear? What narrative, what song, what story, will we leave our children as our collective legacy? For a start, let's hear a bit of the vision of my new colleagues--who represent the future leadership of our city. Councilmember Charles "Chappie" Jones committed in his campaign to ensure that "every resident who wants to be involved in our city will have that opportunity." Councilmember Raul Peralez, who has served our city as a police officer and educator, promised to promote San Jose's, "healthy growth" by "working respectfully together for the collective good." Councilmember Magdalena Carrasco reminds us of our roots, urging that "San Jose allowed my family to pursue the American Dream. 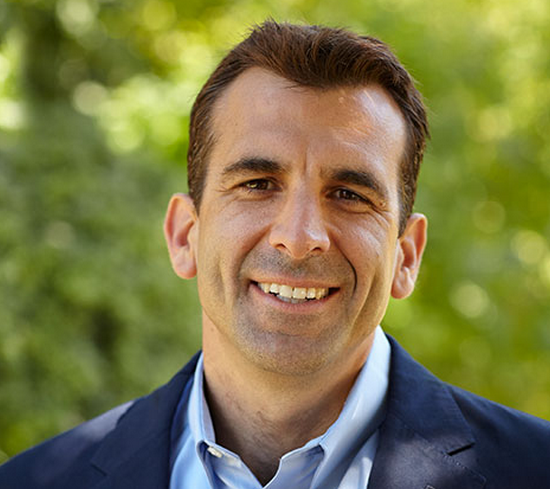 I want to make sure that San Jose continues to offer that opportunity to today's families and beyond." Finally, Councilmember Tam Nguyen expresses deep concern about San Jose's "poverty and growing inequality," advocating for a city that is "more accessible to the public." Each of these voices provides a hint of what is to come for our city. But "to whom does the future belong?" That question was famously posed by renowned playwright and San Jose native Luis Valdez, who has joined us this evening with his wife. "To whom does the future belong?" Valdez asked. His answer: "The future belongs to those who can imagine it." "The future belongs to those who can imagine it." Friends, this is our moment to imagine San Jose's future. It is in this moment, in the depths of winter, eagerly awaiting a new Spring, when we can dream anew, and stretch our imaginations around a different song, a narrative distinct from that of the familiar, predictable voices around us. In my first weeks in public office in 2007, I read of a significant milestone for our planet: for the first time in history, more human beings lived in cities than not. The pace of urbanization is only accelerating. As a result, cities have become the focal point for new thinking about the world's problems, for everything from poverty to crime to climate change. In the meantime, Congress and state legislatures remain mired in bureaucratic gridlock and partisan bickering. So the torch has passed to urban communities and to creative local leaders to confront the world's great maladies. Across the country, we see cities employing novel approaches to reduce greenhouse gas emissions in Portland, boost immigrant-entrepreneurship in Minneapolis, and cut teen dropout rates in Boston. But we're from San Jose—how will we tackle these challenges? Particularly in this time when San Jose—like so many California cities, bears the burden of billions of dollars of unfunded pension debts, backlogged maintenance, and infrastructure needs—how can San Jose demonstrate its leadership in addressing these challenges in this time of scarcity? We need to continue Mayor Reed's legacy of fiscal responsibility, to be sure. But we'll also need to think differently about how we govern, and how we serve our residents. We'll build new partnerships, leveraging the resources and expertise of non-profit organizations and private-sector leaders ready to join us in tackling homelessness or in boosting a 6th grader's reading skills. We'll engage collaboratively in regional approaches to problem-solving for those issues—like rising housing costs, crime, traffic congestion, and drought—that do not respect city limits. Above all, however, we will innovate. In a time of public-sector scarcity, we can only flourish by creating a City Hall as innovative as our extraordinary community. I'm not speaking of innovation in familiar, popularly consumed forms – of ever-larger smartphones or ever-faster data connections. Instead, we will embark on a wave of civic innovation with a human face. What do I mean? Our state faces chronic droughts. But we're from San Jose. We can replenish our underground aquifers with highly purified recycled water, creating a sustainable water supply for generations. A growing income gap nationally divides our rich and poor. But we're from San Jose. We can help to close the skills gap by transforming every city library computer into a career training center to help job-seekers learn English as a Second Language, or accounting, or coding. We face severe shortages in police staffing—and make no mistake, we will compensate our police officers well and fairly for their critically important work, and we will rebuild America's finest department. But we're from San Jose, and we recognize that an effective crime-reduction strategy should also include a summer job for a troubled 17- year-old. Our commutes are crippled by traffic. But we're from San Jose. We'll show the world how to retrofit an auto-centric city into a city built for people – by creating a world-class transit network, re-designing our streetscapes, and by finishing—once and for al—BART to San Jose. We face a crisis of homelessness. But we're from San Jose. We can and we must leverage the Valley's incomparable innovative spirit and resources to end homelessness in our lifetimes. Throughout our nation, people vote less, volunteer less, and participate less. But we're from San Jose. Though novel forms of civic engagement like participatory budgeting and open data initiatives, we can re-connect our city to city hall. Even if only half of the voters felt they prevailed in the last election, our entire city will participate in San Jose's victories in the decade ahead. Innovation, of course, doesn't come easy. Innovation takes risk, and risk requires courage. to try what has been untried; to open our city's workings to public scrutiny; to allow volunteer energy to loosen City Hall's grip on every task; to collaborate with resolute adversaries; and, above all, to fail, to learn, and to endeavor again. This, then, is our moment, our courageous moment, to imagine our future. Together, we can chart a new path, and re-imagine our city. I conclude by extending an invitation to each of you: Join me in re-imagining San Jose. In the weeks ahead, we'll be forming public working groups to shape key initiatives to better support our kids' learning, to broaden economic opportunity, and to improve safety in our neighborhoods. Please join us, and participate in these conversations. We are many voices, but we are one city. Through our imagining and re-imagining, we can create a bold future for our city, and bequeath a great civic gift to a world whose progress desperately depends upon urban leadership -- our leadership. And on that global stage, they'll hear our voice—and we'll tell the world that we're from San Jose. Thank you, God bless you, and God bless San Jose. WallethHub has put together a list of the best and worst cities to find a job in the US. The company analyzed the 150 largest cities in the world across 16 key metrics. 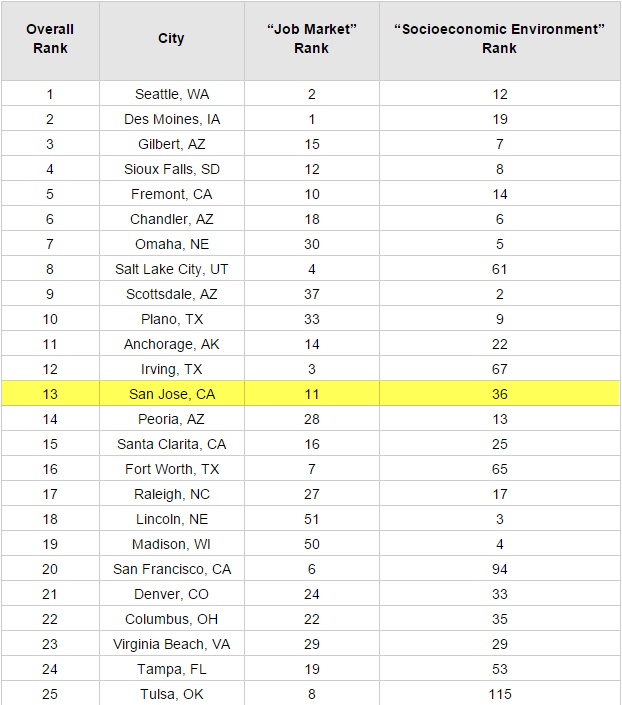 San Jose ended up as the 13th best city to find a job. Our city was 1st in terms of monthly median starting salary, 18th in employment growth, 20th in job opportunities, and 28th in crime. San Francisco was 7 spots below us in 20th place overall and New York City was 90th on the list. For the full list of rankings, head over to the source link below. The other day I was contacted by a Polariod Fotobar rep wanting to let us know that they had opened “micro-stores” (giant interactive kiosks) at Westfield Oakridge (and now, Westfield Valley Fair.) During your holiday shopping you may have seen them or event sat down and you’ve already experienced them. But if not.. if the crowds were just too much, you have plenty of time to still check them out because they are PERMANENT additions to the malls. So, I love photography. You may have seen some of my stuff here and there, maybe visited First to Market when I had my photography up (or even in the SPUR office window a few years ago!) so I felt pretty connected to this and wanted to check it out. Especially now that the holidays were over and the malls are back to being just moderately insane again. I was set up with a meeting with “Fototender” Cory who was super helpful. He showed me all the products you can buy; trendy, colorful shadow boxes, “rustic”-style or glass and metal prints for a snazzier upscale or even commercial use, and all the neato photo-related holders you could ever want. 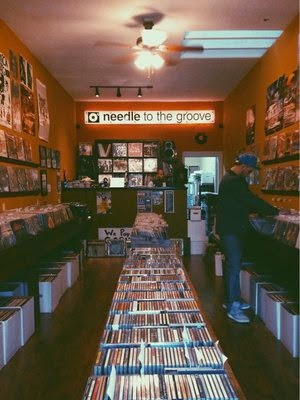 The weekend I went, they were holding a promo for 6 free prints. Their standard prints (the size of a Polaroid!) 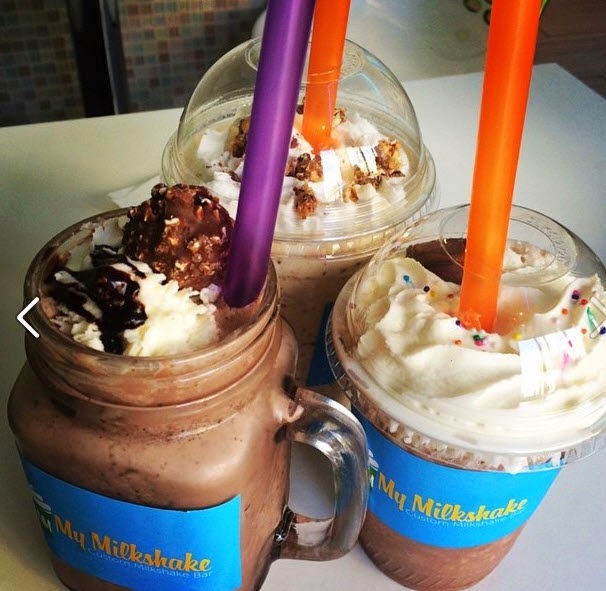 are just $1. They’re printed on a thicker cardboard stock, which makes me feel like they will last for awhile. Much to my surprise, Team Polaroid hooked me up with some complementary goods. So I sat down and Cory showed me the super easy process to get my photos printed. First you create a quick account and immediately get the choice to upload from various sites (Flickr, Instagram, Facebook) or direct from your phone. I opted for my phone only as it would have taken me FOREVER to choose photos from my Flickr account. Plus my phone has all the most recent photos and a few favorite older ones saved on it. After you create an account and provide your cell number to get a link texted to your phone. From there, I easily chose what photos I wanted to upload. The photos will appear in front of you on the computer you’re using. Magic. 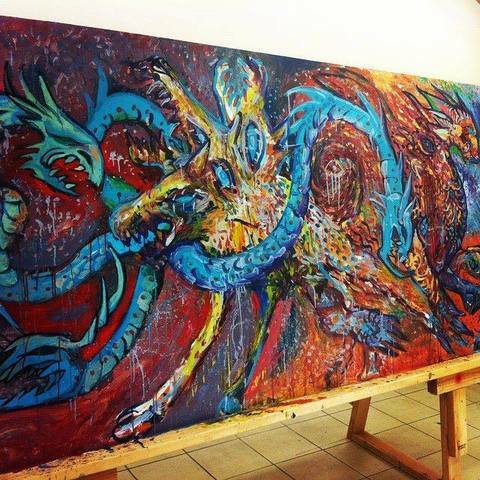 From there you can adjust the placement and framing. Go old school with the square format with the thicker bottom border in either portrait or landscape. Or use all the available space and have an equal, thin border. I noticed one of my photos was a little dark and while the screen said I could do effects/edit - Cory told me that the option had significantly slowed the computers so they had to remove that feature. Kind of a bummer, but at the same time I bet it cut down on how long people sat at the computers. So that said - adjust your photos before you upload! Once you’ve uploaded and paid for your goods, you take your receipt and hit the mall! 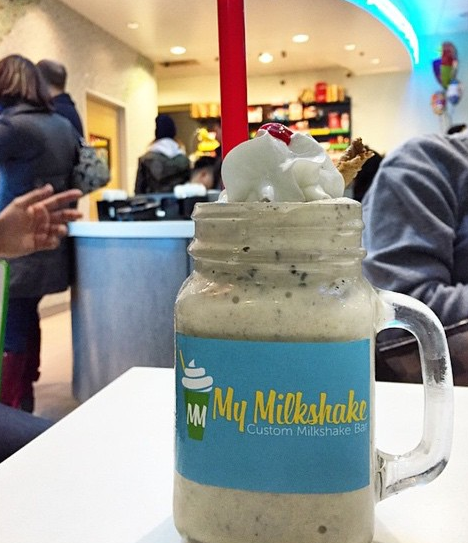 Go browse the stores, eat lunch, drink some coffee, whatever else you find fun at the mall to do - go do it. After your prints are done, you will get a text (or email) noting they are ready for pickup. I was told that on average, a small batch of about six photos took around 15 minutes to print. Obviously this would be if there are only a moderate amount of orders ahead of yours and not a super large amounts. I decided to go with a couple of their black shadow boxes. Black goes with everything, right? These shadow boxes have a metal panel in the middle. All you do is adhere a Polaroid-shaped flat magnet to the back of your photo and plop that sucker into the frame. Voila! Ok this is where I admit, I probably should have chosen a bunch of San Jose-themed photos for this post right? BUT, right now on my phone it’s full of either photos of my daughter and husband or food photos. So, you get to see those photos instead. But just imagine your own pics of awesome San Jose - easily printed out, slapped into these frames, and displayed. Maybe you run a local coffee shop and want to include some photos of those super neato latte designs you’ve been creating? Here you go! 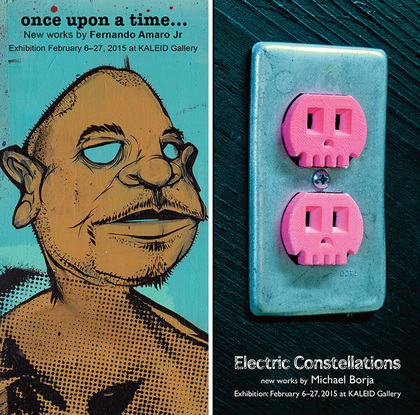 Or invite your customers to share their prints with you and you can create a little display. For $1 per print, that’s some really easy customer-love you could provide. "Over one billion pictures are taken every day, and Polaroid Fotobar is a fun, easy way to take them from your Facebook timeline to your wall at home," said Warren Struhl, the company's founder and chief executive officer. “Polaroid Fotobar is all about recapturing the magic and instant gratification of creating cherished pieces of art with your pictures." It’s true. We’re in such an Instagrammy-Facebooky-world that most of our photos don’t make it off our phones/accounts as often, and thanks to the retro-fun that Polaroid is providing, we can do that for an affordable amount. And you don’t *have* to go to the mall to print these, you can do it from home and have them shipped, of course. But that might take some of the fun out of it!